Hiring attractive and engaging Promo girls and promo boys for your next exhibition, promotional event, tradeshow, road show, corporate event, charity evening or marketing campaign will really get your business and brand noticed leaving your target audience with a lasting memory of the event. Our promotional personnel are available to hire for any event and Pitlane Promotion will manage and help you through the whole process of hiring our event personnel. Pitlane Promotion has provided thousands of promotional models for hundreds of different companies throughout the UK and our promotional boys and promotional girls have applied their talents in many, many different ways from Costumed Characters, Data Capture and hostesses to flyer distributers, product demonstrators and product placement staff. We have more than 7,000 promotional and event staff registered with us throughout the UK so can select the right event staff that fit your requirements perfectly in terms of look, personality, duties, attitude and event location. 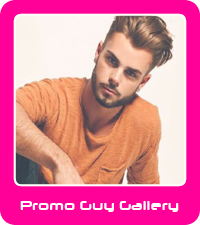 We always select promotional staff that are located near your event and brief the successful models on exactly what you want them to be doing and what you are looking to achieve for your time at the event. Once we have selected the right promotional models based on your brief we will present these to you so you know exactly what you will be getting from your investment. Whatever your requirements we understand that this is your event so if you have any special requests these can be discussed with our bookings team who will make sure these needs are met. Our promotional bookings team want you to be overwhelmed with the quality , experience and professionalism of all of our event and exhibition staff and are committed to make sure the investment you make with the hire of our promotional staff is 100% the right decision so you use us again and again for all your exhibitions and events across the UK. Pitlane Promotion can provide promotional staff throughout England, Wales and Scotland so your geographical location has no bearing on the experienced, engaging quality staff waiting to make your next campaign a huge success. Our promotions team will be delighted to talk through with you how we can assist with your next campaign so please call us on 0844 800 0071 for a free and fast quotation.